Homeopathic Therapeutics of the Diseases of the Liver and Biliary Ducts is the title of Dr. med. Fortier-Bernoville’s five lectures as published in L’Homoeopathic Moderne (1938, nos. 3, 5, 7, 9, 11) . The different type of liver insufficiency have their own specific behaviour. This specificity may be called biological specificity. This idea of biological specificity, seems in the case of hepatic insufficiency and in other troubles, to be very fecund and gives some important possibilities of comprehension. Dr. Bernoville lays out a precise schematic of hepatic function, potency use, drainage routes and more. This work serves to ground homeopathic prescriptions of the mind and emotions with the pathology in the body. HEPATIC DYSFUNCTION : REMEDIES OF MORBID TEMPERAMENTS OF THE HEPATICS. The word “Dysfunction” characterises better the ensemble of cases of functional troubles of the liver, either because of the real insufficiency, deep or slight, or because of certain functions of the hepatic cells, without any real insufficiency. CLASSIFICATION AND VALUE OF RESEARCHES AND TESTS OF HEPATIC DYSFUNCTION. Liver is at the same time purifier, fixer of toxins, and transformer of foods which it degrades to seperate from them the products which are to be excreted and those that will be necessary for the economy of the organism. Berberis 3 or 6 acts on the hepatic cells, on the kidney and on the skin. If this remedy is used in hepato- renal troubles, the kidney is helped causing an increase of elimination through the skin. Four principal drainers of the Liver : Solidago, Chelidonium, Taraxacum, Carduus marianus. 2. Six drainers of bile ducts and of the liver : Hydrastis Chionanthus, China, Myrica, Berberies. A tabular summary of the therapeutics of liver discussed in the earlier chapter. Learn important liver remedies in homeopathy medicine. According to the seriousness of infection, we may have three varieties of benign infectious jaundice. Learn the important homeopathic remedies for Jaundice. GALL-STONE AND ITS COMPLICATIONS : VALUE OF HOMOEOPATHIC TREATMENT. Important homeopathic remedies for treatment of gall stones. Find out best homeopathy medicines for cholecystitis and cholelithiasis. These remedies are also given according to their time modalities. Bryonia seems often to act in this case after meals at night, time of amelioration. Ricinus communis given after noon relieves nausea and dyspeptic troubles. THERAPEUTIC PLAN OF HOMOEOPATHIC TREATMENT OF CIRRHOSIS AND DIFFERENT HEPATOMEGALYS. 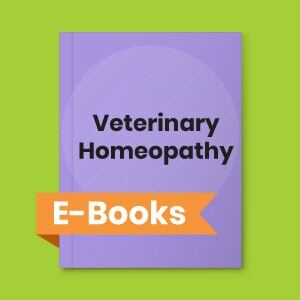 Let us note here that the homeopathic remedies indicated by pathological anatomy are almost all minerals, while clinical remedies indicated by symptoms of the liver are all vegetables.